E2250 Programmable Speed Capstan Driver | Locus Engineering Inc. The E2250 Programmable Speed Capstan Driver pulls a line from 0.01m/s to 2.10m/s with 0.01m/s resolution using a pre-programmed pulley diameter setting. The motor is operated with a current limited higher voltage for higher torque. Set speed and actual speed are indicated. Controls include motor on/off, motor direction, and motor speed. 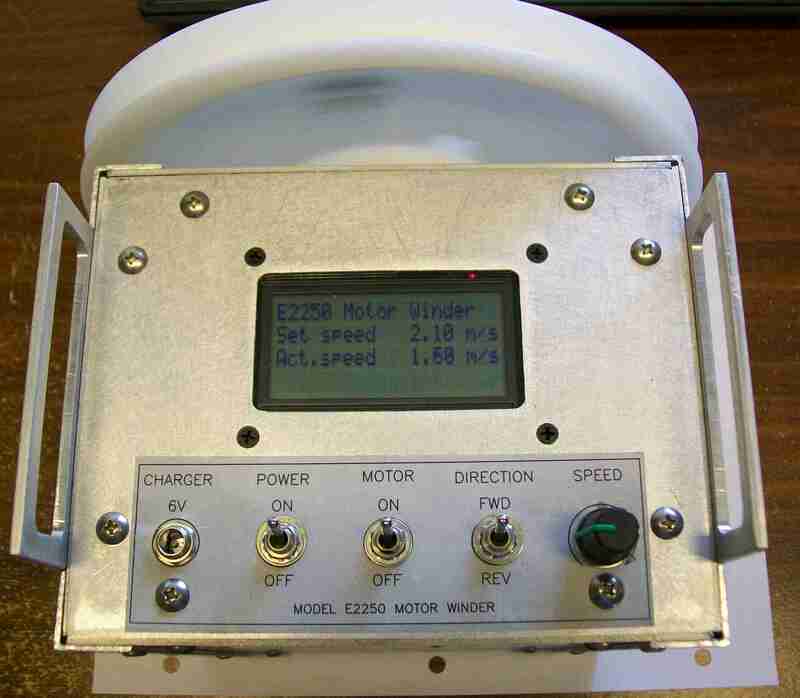 Motor speed is ramped up or down depending on speed setting or changes in direction.